Click on the picture above and comment please. We need to spread the message that the whole Bible is Truth and that the foundations must remain for the Gospel to stand. Shalom brothers and sisters in Messiah! will show you His ways so that you may be able to walk as He wants us to walk. Please forgive me for not doing the Torah Portion last week. to show a background to this week's portion. Anyway, on to the portion! with what happens later in the Torah and even what is happening now. And Pharaoh called Yoseph’s name Zaphnath-Paʽneaḥ. 2nd in command in Egypt to Pharaoh and became known as the 'Savior of the Age'. And Yoseph dreamed a dream, and told it to his brothers. So they hated him even more. 8 And his brothers said to him, “Shall you indeed reign over us? So they hated him even more for his dreams and for his words. And by who's mouth gives life? “And He humbled you, and let you suffer hunger, and fed you with manna which you did not know nor did your fathers know, to make you know that man does not live by bread alone, but by every Word that comes from the mouth of YHVH. It is the Torah! Life is added by what YHVH has spoken. And YHVH Elohim formed the man out of dust from the ground, and breathed into his nostrils breath of life. And the man became a living being. And without YHVH, we cannot exist. Do you understand that??? and by His Words we can continue to have life. And who is the Word? and the Word was Elohim. not even one came to be that came to be. Without Yahshua(The Word of YHVH) we don't exist! but that has NOTHING to do with being 'born' spiritually. Without Yahshua(The Word of YHVH), we cannot be 'born' spiritually. Only by accepting The Word of YHVH(Yahshua) can we be born and can exist! and he sent and called for all the magicians of Mitsrayim and all its wise men. who could interpret them for Pharaoh. “I remember my crimes this day. 11 each one of us dreamed a dream in one night, he and I. Each of us dreamed according to the interpretation of his own dream. 12 “And there was with us a Hebrew youth, a servant of the captain of the guard. And we related to him, and he interpreted our dreams for us. To each man he interpreted according to his own dream. 13 “And it came to be, as he interpreted for us, so it came to be. Then Pharaoh sent and called Yoseph, and they hurriedly brought him out of the dungeon. And he shaved and changed his garments, and came to Pharaoh. telling him that there would be 7 years of plenty and 7 years of extreme famine. And the word was good in the eyes of Pharaoh and in the eyes of all his servants. there is no one as discerning and wise as you. 42 And Pharaoh took his seal-ring off his hand and put it on Yoseph’s hand. And he dressed him in garments of fine linen and put a gold chain around his neck. 43 And he had him ride in the second chariot which he had. And he set him over all the land of Mitsrayim. This word according to the Strong's comes from an Egyptian derivation. to the Ancient Egyptian language means, "Preserver(or savior) of the age." But what does it mean according to the Ancient Paleo-Hebrew? opening the knowledge of the gate of life. and to reveal the gate of life! and there are many who enter in through it. hard pressed which leads to life, and there are few who find it. palace or other large edifice. It differs from door chiefly in being larger. planks or timber which closes the passage. but also can keep things from coming out. Now that we know this, who is the door? “Truly, truly, I say to you, he who does not enter through the door into the sheepfold, but climbs up by another way, that one is a thief and a robber. “Truly, truly, I say to you, I am the door of the sheep. and shall go in and shall go out and find pasture. Yahshua is the door! The name that Pharaoh gave to Joseph pictures EXACTLY to the Messiah! Joseph was a amazing shadow picture of Yahshua. or possibly spoken as the beginning of the 3rd year. Yahshua left earth, according to 2nd Peter 3:8. He has stricken but He binds us up. He shall raise us up, so that we live before Him. and on the beginning of the 3rd day/year, Joseph saved that part of the Ancient world from the famine and starvation that was coming, and guess what? It is so amazing that even though we may read these passages over and over again, we continue to find things that blow our minds and make us say WOW!! He continues to show us even the little things about the Scriptures! like Joseph, Moses, and others to create a picture of Messiah even way back then, but we haven't realized it until now. He promised to us that He would reveal things in the last days that weren't revealed before. And He is keeping His promises!! to share the Good News of Messiah with others. Now, on to the portion! Parasha VaYishlach is the 8th Torah Portion in Genesis. grabs the heel'(the deceiver), to 'the one who rules with El'. previous chapters to the Jacob we read of in this portion is amazing! 4 and he commanded them, saying, “Say this to my master Esaw, ‘Your servant Yaʽaqob said this, “I have sojourned with Laban and stayed there until now. 5 “And I have bulls, and donkeys, flocks, and male and female servants. We see here one of the biggest tests of Jacob's life. 10 “I do not deserve the least of all the kind acts and all the truth which You have shown Your servant, for I passed over this Yarden with my staff, and now I have become two groups. 11 “Deliver me, I pray, from the hand of my brother, from the hand of Esaw, for I fear him, lest he come and shall smite me and the mother with the children. I am looking for that matches what he did perfectly. Can you guess what it is? He trusted YHVH to protect him and to deliver him from the hand of Esau. deserve it, and pleads to YHVH to protect him from Esau. not just in Scripture, but in history as well. next step that a very small percentage of people do. and cleanse yourselves, and change your garments. 4 So they gave Yaʽaqob all the foreign mighty ones which were in their hands, and all their earrings which were in their ears. And Yaʽaqob hid them under the terebinth tree which was near Shekem. and YHVH delivered him, he didn't go back to being the same old Jacob. He didn't go back and stay the same person that he was. He truly did Teshuvah, he truly repented from his sins and never looked back. And he even went another step and told his entire household to put away their idols, and they ALL did! Sadly, a very small amount of people do that. However, it's not too late! no matter how big or important they may seem to be. when he came from Paddan Aram, and blessed him. 10 And Elohim said to him, “Your name is Yaʽaqob, your name is no longer called Yaʽaqob, but Yisra’el is your name.” So He called his name Yisra’el. 11 And Elohim said to him, “I am El Shaddai. Bear fruit and increase, a nation and a company of nations shall be from you, and sovereigns come from your body. 12 “And the land which I gave Abraham and Yitshaq I give to you. and the nation where Yahshua will reign for 1,000 years, is YISRA'EL!!! And Yaʽaqob was left alone. And a Man wrestled with him until the breaking of day. 25 And when He saw that He did not overcome him, He touched the socket of his hip. And the socket of Yaʽaqob’s hip was dislocated as He wrestled with him. And He said, “Why do you ask about My Name?” And He blessed him there. one being. It is the same one over and over and over again. and for 1,000's of years we haven't even seen Him. He was YHVH Elohim, walking the garden of Eden(Genesis 3:8). that brought bread and wine and blessed Abram(Genesis 14:18-20). and after Ishmael's birth, promising her that he would also become a great nation(Genesis 16:7-13, 21:17-20). changed Abram and Sarai's name to Abraham and Sarah, and reaffirmed His covenant with Abraham that he would be a great nation(Genesis 17:1-22). that was going to happen in Sodom and Gomorrah(Genesis 18:1-33). of the earth would be blessed by him(Genesis 22:11-18). that He would bless his seed(Genesis 26:24). He would go with Jacob wherever he went(Genesis 28:12-15). He promised Abraham and Isaac He would also give to him(Genesis 35:9-13). And that is just in the Torah Portions we have covered this year!!! that she called his name Ben-Oni. But his father called him Binyamin. bad into something good, something evil into something blessed. Hmm... do we see that somewhere's else in the Scriptures??? that is Ḥebron, where Abraham and Yitsḥaq had dwelt. 28 And the days of Yitsḥaq were one hundred and eighty years. aged and satisfied of days. And his sons Esaw and Yaʽaqob buried him. Esau and Jacob were together was at the death of Isaac. no matter how much they dislike each other. It is a... PATTERN! no matter how big or small. Nothing is done anew. great and fruitful nation, under Elohim, which is Yisra'el! Shalom brothers and sisters in Messiah! I pray that you will all have a blessed Shabbat and that you can learn more about YHVH everyday! and why Jacob had to go to Laban's house. of the life of Jacob. Jacob was the grandson of Abraham and the son of Isaac. Aaron, David, Solomon, Elijah, the prophets, and finally Yahshua. But before he becomes the father of Yisra'el as we know it, he was Jacob. were chosen by the parents as a sign to that their child would be. Abraham means 'father of many nations'. to restrain or stop the heel', and in a form, 'the deceiver'. everything that happens in this world happens for a reason. It would make sense, just like in Yahshua's time, for the stars to declare about this child. including an amazing sight when Yahshua was born on this earth! And Yaʽaqob cooked a stew, and Esaw came in from the field, and he was weary. for I am weary.” That is why his name was called Edom. And he swore to him, and sold his birthright to Yaʽaqob. and rose up and left. Thus Esaw despised his birthright. and that may be the reason why He got into so much trouble with Laban later. of this chapter there was scarcity of food in the land and Isaac went to Gerar. 6 And Yitsḥaq dwelt in Gerar. and he watched and saw Yitsḥaq playing with Ribqah his wife. 9 So Abimelek called Yitsḥaq and said, “See, truly she is your wife! I laugh when I think how mad Abimelek must have been when this happened. that did the SAME thing("She is my sister.") to you 60 years ago! Abimelek must have known or learned about YHVH because he knew immediately what to do. We also see in the rest of this chapter how unkind they are to him. one of his friends, and Pikol the commander of his army. 28 But they said, “We have clearly seen that YHVH is with you. And we said, ‘Please, let there be an oath between us, between you and us. and as we have done only good toward you, and have sent you away in peace. 30 And he made them a feast, and they ate and drank. 31 And they rose early in the morning and swore an oath with one another. And Yitsḥaq let them go, and they departed from him in peace. but to ask for peace. It has always been like that and always will be. in Yisra'el right now. 1st of all may I say, while we are to always pray for peace in Jerusalem, we know that YHVH is doing this for a reason and a purpose. and in Israel. Pray for the wives and children of the men in the IDF. come and follow the LIVING TORAH, Yahshua the Messiah! there is no Jerusalem, no Zion, and no temple. Without the land we as a people cannot perfectly abide all the Torah since we cannot physically do the sacrifices. Israel is the Promised Land, and we a PART of that land. And don't worry, we WILL be returning SOON, with Yahshua as our KING!!!!! or did he just try to quicken what YHVH was already going to do. “If all is right, why am I this way?” So she went to ask YHVH. and two peoples shall be separated from your body. she decided to take it into her own hands, and that NEVER works! And Ribqah heard when Yitsḥaq spoke to Esaw his son. And Esaw went to the field to hunt wild game and to bring it. 8 “And now my son, listen to my voice according to what I command you. and I make a tasty dish from them for your father, such as he loves. “See, Esaw my brother is a hairy man, and I am a smooth-skinned man. 13 But his mother said to him, “Let your curse be on me, my son. ALWAYS do it, just not when we WANT it. A BIG part of faith is patience. strengthen your heart! Wait, I say, on YHVH! all things perfect, because if not, we would be in BIG trouble!! and said to him, “Do not take a wife from the daughters of Kenaʽan. 2 “Arise, go to Paddan Aram, to the house of Bethu’el your mother’s father. from the daughters of Laban your mother’s brother. not people of the world, regardless of 'race', 'nation', looks, speech, etc. Do not become unevenly yoked with unbelievers. For what partnership have righteousness and lawlessness? And what fellowship has light with darkness? 15 And what agreement has Messiah with Beliyaʽal? Or what part does a believer have with an unbeliever? in unity with someone of a different body, and if we try, chaos will come out of it. UNITED WE STAND, DIVIDED WE FALL!! Let's keep standing with YHVH!!! without persecution so share with who you can right now! but I did want to share with you what I wrote up to in the portion. The name of this Torah Portion is Chayei Sarah. It is the 5th portion in Genesis and goes from Genesis 23:1-25:18. Isaac and Rebekah were married, and the death and burial of Abraham. and the start of a new one. Everything that has life has a circular pattern. You are born, grow up, get married, have kids, grow old, and then die. But as long as you have children, the circle continues. of the pattern that YHVH created for our lives will be incomplete. the years of the life of Sarah. and Aḇraham came to mourn for Sarah and to weep for her. during every problem, during every blessing, Sarah was at Abraham's side. like Abraham. 1st of all, her name in Hebrew means 'Princess' or 'Queen'. a very important person in Ur where she lived before she married Abraham. Pharaoh in Egypt and Abimelech in Gerar took her(Genesis 12:14-15, 20:2). many possessions they have is by the women's clothing. their clothing so that others would see the possessions of that family. So because of that, it may be why Abimelech and Pharaoh took her. Another thing we see is that she was barren(Genesis 11:30). be able to have children. Now, YHVH used these women to help build up Yisra'el. But it wasn't until later on in their lives that YHVH blessed them with children. and for Rachel it was because YHVH saw Rachel's shame(reproach) and listened to her plea(Gen 30:1-2, 30:22-23). YHVH uses different things to test us, and for these 3 women being barren was one of those tests. How many times do we hear of Sarah in chapter 22? Zero, Zip, Nada, Nope, No, None, 0, nothing.... Ok I think you get the point. just because their children are riding a bike without training wheels for the 1st time, how much more would it be if YHVH told you, "Go, and sacrifice your son." wouldn't you just gain a LITTLE faith to follow YHVH? I mean, seriously! Abraham and Sarah went through a LOT in their lives. They had no choice but to say that YHVH was in control. YHVH is smarter than we are and will get us to do His will one way or another. Does that mean that we don't have a choice? No, not at all. But does it mean that we will do YHVH's will, good or bad? Yes! does YHVH allow sin? So that His will can be done, just like Yahshua said. were in Jewish communities even in the 1940's is, "Fiddler on the Roof". of information that goes on in a Ancient Hebrew wedding, and while I would love to be able to go through it now, it would be much too hard and long for me to do it. May YHVH continue to show you His REAL truth! Shalom brothers and sisters in Messiah! I pray that you will all have a blessed Shabbat. Please pray and continue to pray for those affected by "Hurricane/Superstorm Sandy", that they are ok and that they might come to know the REAL truth before it is too late. I know how hard it must be for them. When we 1st came to the states in 2004, we were hit by 3 hurricanes, and they are not to joke around with. Anyway, on to the Torah Portion! Parasha VaYera is the 4th portion in Genesis and goes from Genesis 18:1-22:24. It is the continuation of Abram's/Abraham's life. out of the land of his fathers and brought him to Canaan. We see that there were a lot of tests, and sometimes Abram did fail those tests. YHVH follows through and is faithful to us as we are faithful to Him! before Sarah had a son. If we think about it, it is a lot like what is going on now. “If anyone then says to you, ‘Look, here is the Messiah!’ or ‘There!’ do not believe. 24 “For false messiahs and false prophets shall arise, and they shall show great signs and wonders, so as to lead astray, if possible, even the chosen ones. 25 “See, I have forewarned you. or ‘Look, He is in the inner rooms!’ do not believe. so also shall the coming of the Son of Aḏam be. know though that He said things have to happen before His return(Matthew 24). We have no authority to make any plans about when Messiah will return. so we can do whatever we want." like modern christianity does. We have to be prepared always and look for the times and seasons. just like Abraham and Sarah had to wait and be patient for their son Isaac. YHVH doesn't delay. We just get TOO IMPATIENT!! while he was sitting in the tent door in the heat of the day. In chapter 18 we read how 3 men came to meet Abraham. But we can see an unusual thing happen here in verse 2. Abraham, seeing these men, runs to them and bows to them. 2 things that I found interesting. 1st of all, Abraham is 100 YEARS OLD. really shouldn't have had to run, UNLESS these men weren't just normal men. The 2nd thing I found interesting is that Abraham bowed to them. think that these may be angels. Now, could 1 or 2 of them have been? And I, Yoḥanan, saw and heard these matters. And when I heard and saw, I fell down to worship before the feet of the messenger who showed me these matters. So just who did Abraham bow down to? So he lifted his eyes and looked, and saw three men standing opposite him. please do not pass Your servant by. There is only one person this can be, YHVH in the flesh, Yahshua! and El Shaddai means God Almighty. do you really think He is going to come JUST to save us? YHVH God of Hosts, King of Righteous and Peace! to the world with a rod of iron(Revelation 19:15). only 10 righteous men instead of the 50 he had originally had. the moment that truly tested his faith was in chapter 22.
so joyful and so amazed for all that YHVH had done. He must have been pretty glad it's was finally over, right? Now he could rest... Or so he thought! , and took two of his young men with him, and Yitsḥaq his son. went to the place which Elohim had commanded him. "WOW! He finally figured it out!(Haha!)" That's probably what some of us are thinking. what we do in the middle, but rather how we finish. He wants us to finish strong. I mean, look at the whole Scripture to look for examples. of Yisra'el out of Egypt and to Mt. Sinai, and through him YHVH gave the Torah. But because of his one sin at the end of his life, striking the rock instead of talking to it in Numbers 20, because of that he wasn't able to enter the Promised Land. no matter what YHVH asks us to do, we will be blessed. and let your seed possess the gate of their enemies. 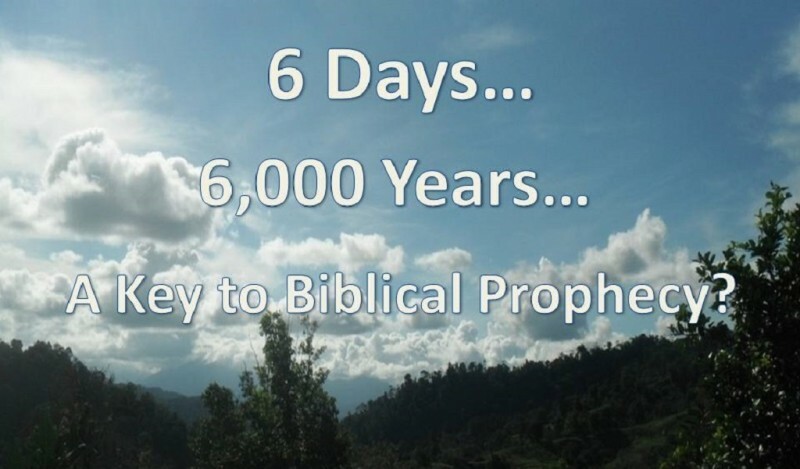 Who is 'The Messenger of YHVH?' We see Him several times in the Scriptures. It is very important to see the difference between 'a' and 'the'. If an angel called you out of heaven, would you be like, "Oh, hi, I'm right here!" NO! You would be on the floor, panting, about to have a heart attack. No, Abraham knew who this was, and it is so amazing to think about just how many times we can see Yahshua in the Scriptures! learn YHVH's Torah more and more everyday! Shalom brothers and sisters in Messiah! I pray that you will all have a blessed Shabbat and that YHVH will guide you and give you His shalom/shalem. Parasha Lech L'cha is the 3rd Torah Portion in Genesis. detail and what it means, but let's get this out of the way. Abram is a picture of us,coming out of the land, family, and religions that he had. protect Him no matter what. It is a picture of many of us today. and some of us have even had to move from where we were from. Why? our way is better than YHVH's way. But Abram fell as well. enough faith to tell the whole truth about Sarai when they were in Egypt. faithful with us, as long as we return back to Him with humble hearts. shows us our future by what has happened in the past. We see in chapter 14 about a king named Melchizedek. And Malkitsedeq sovereign of Shalem brought out bread and wine. Now he was the priest of the Most High El. Hebrew is actually 2 words, the 1st is 'Melek' and the 2nd is 'Tsadik(Tsedeq)'. Melek means 'king' and Tsadik(Tsedeq) means 'Righteousness'. So combined it means Melektsedeq, the 'KING of RIGHTEOUSNESS'!! Now we probably already know who it is, but let's keep going. The word here for Sovereign is also 'Melek', which means king. It says here though that he was the king of Shalem. But guess what? Shalem is the same word as Shalom, which means 'peace'! that it says something about a king or prince of peace? For a Child shall be born unto us, a Son shall be given unto us, and the rule is on His shoulder. And His Name is called... Prince of Peace. Wow! There is ONLY ONE person that this could possibly be. to decipher the rest of the verse. It says that He brought out bread and wine. Hmm... and isn't that the same thing that Yahshua did with His disciples? He gave it to them, saying, “Drink from it, all of you. which is shed for many for the forgiveness of sins. think it is suffice to say that Yahshua didn't create anything new when He did this. In fact, He was the 1st one to do it! out the life and the blood. Now He was the priest of the Most High El. which by the way is the meaning for Sedom(look at verses 17 and 22). My brothers, what use is it for anyone to say he has belief(faith) but does not have works? This belief(faith) is unable to save him. but you do not give them the bodily needs, what use is it? 17 So also belief(faith), if it does not have works, is in itself dead. and I shall show you my belief(faith) by my works. 19 You believe that Elohim is one. You do well. The demons also believe – and shudder! that the belief(faith) without the works is dead? when he offered Yitsḥaq his son on the altar? and by the works the belief(faith) was perfected? and not by belief(faith) alone. 25 In the same way, was not Raḥaḇ the whore also declared right by works when she received the messengers and sent them out another way? so also the belief(faith) is dead without the works. because no one can be saved by works(Ephesians 2:8-9). But our faith is useless unless we show it by what we do. but once again remember that sometimes it was hard for Abraham too. back to the narrow path as quickly as possible so that YHVH can be glorified! would have a son from Sarah. They were 100 and 90 years old! late and there wouldn't be a single human, land animal, or bird alive. a plan for us, even if He delays it for 25 or more years. and may YHVH give you Shalom/Shalem all your days. and that YHVH will use you for His Glory! Parasha Noach is the 2nd portion in Genesis. the generations after Noah, the Tower of Babel, and the generations after Shem. of it is the 1st 11 chapters of Genesis. It is the foundation of the world. Tower of Babel where the languages where separated. these 2 portions and thinking about how Messiah is ALL OVER them! Noah's name in the Hebrew is, 'Noach', meaning, 'rest'. that showed him what to call his son. That's what they were for, right? heavens to give light on the earth.” And it came to be so. Maybe Lamach saw that the time was approaching when YHVH would send someone to comfort their hard labors, their slavery of sorts! I love how every thing that happens in these 1st couple of portions dictate the rest of history. I mean, how many examples can we find here? Yahshua was in the beginning, He is the Light, He was the One who walked with Adam and Eve, He is the Promised Seed, He is the Lamb of Elohim that was slain to cover our sins, He is the One who comforts us, He is the One who gives us rest, He is the Ark of Salvation, and He is so MUCH MORE! I also bring it to pass. I have planned it, I also do it. YHVH showed and is showing His plan from the very beginning. There is no doubt that YHVH is MUCH smarter than we are, is there? What He said He would do, He has done. What He has planned, He has done. As Malachi said, YHVH never changes. He always stays the same. that He is perfect even while we still sin. and after Yahshua resurrected, He was on the earth for 40 days. the desert for 40 days and 40 nights, being tempted by the Adversary. This is just 1 example of this. You can look for 3's, 7's, 10's, 12's, 70's and so on. can't see because they don't study the "Old Testament". Without Yahshua, we could not really exist. But think about it. that if we do not have Torah then we could not really exist? May we all study the Word, earnestly awaiting the return of our King. May you all be blessed on this Shabbat! I have been busy working on our family blog and helping my family in the farm. Please visit our blog to see how we live being doers of the Word/Torah and not hearers only. May YHVH bless you and keep you!!! Shalom! Shalom brothers and sisters in Messiah. with my Aunt being here. Anyway, let''s get started! and the instruction to follow the Words of the Covenant. wherein we give the firstfruits of our crops and give it to YHVH. give Him what was special to them. Ok, let's say you were growing lots of carrots. wake up and you see the 1st carrots coming out of the ground. ready to eat, what's the 1st thing we as humans normally do? We take it out of the ground, wash it quickly, cut it up, and eat it! firstfruits of what we have instead of just eating it all ourselves. love Him by giving our first of what we have to Him. So the question is, what do WE do with the 1st of our crops? will accept Yahshua and His Covenant because of it! and also have given it to the Levite, and to the stranger, and to the fatherless, and to the widow, according to all Your command which You have commanded me. I have not transgressed Your commands, nor have I forgotten. then give it to the poor, widows, and orphans. being used for the purpose. And now today, we can share with them an even bigger blessing, the blessing of salvation in Messiah Yahshua! and we see how YHVH looks like He gives out more cursings then blessings. all if we just guard and obey His instructions for our lives. Those blessings are simple, yet they supply all that we need. perfected in him. By this we know that we are in Him. “If you love Me, you shall guard My commands. other can give something too. In this case if we love YHVH and obey His covenant, He will bless over and above what we need. and in just those verses we see something so powerful. “Your eyes saw the great trials, the signs, and those great wonders. see and ears to hear, till this day. of a sudden realize how dumb you and your parents were all those years. YHVH did through Moshe, you still didn't understand until just now! and one of the greatest wonders of them all! and do them, so that you prosper in all that you do. You want to be prosperous? OBEY YHVH and His Word. bless you SO much more then you can bless yourself! I asked for a corner in our ministry website so I can share what YHVH has put in my heart to write about. As I am learning I will post what I have found. Please pray for us as we go where Yah wants us to go, and, if YHVH puts it on your heart, please support my family. YHVH bless and keep you in HIS shalom!